It still comes as a shock to us that so many people don’t understand just how important lighting is. 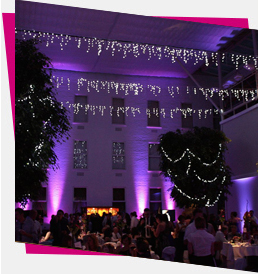 Whether it’s the atmosphere that it creates, the way it highlights important features or simply how it makes a space look, lighting is one of the most important aspects of event planning. Don’t believe us? You may not notice it, but even movies and stage productions put a lot of time and effort into their lighting. This understanding of the importance of lighting is inspirational – and we want you to get inspired, too! There are so many films that have incredible lighting that it was quite hard to whittle our choice down to just one. However, Skyfall is one film which instantly sticks out in our mind when we think of popular films which have an intense understanding of how lighting can affect a scene. If you haven’t seen the film – and if not, you totally should – there will be a few minor spoilers following, so watch out! The fight scene in Shanghai between Bond and Patrice is the first scene which stands out when it comes to lighting. Unlike many of the other fight scenes within the film, it takes place in almost pitch darkness, with only the screen projections and windows as a light source. This makes the battle feel more intense; you can only see the outlines of the two men as they battle it out. You can tell which character is which simply by the outline, but the lighting really ups the tension – who’s going to be the victor? Is that really Bond getting pushed out of the window? Or is it Patrice? It really adds to the mystery that surrounds the series, Bond is a secret spy, after all! He also uses the lighting to “disappear” at the end of the scene when he’s spotted! Sneaky Bond! Stage productions rely on lighting to create mood and atmosphere. Unlike films which can have their lighting tweaked and edited in post production, the audience is witnessing the play first hand, meaning that lighting has to be spot on to create a mood or fulfil a specific purpose. The Broadway show Matilda takes lighting to a whole new level. The lighting designers have created and implemented an intense light show to accommodate the emotion, atmosphere and feel that the play requires. It makes the stage seem much bigger than it is, drawing the audiences attention in and making them forget their surroundings and making them feel an integral part of the story! Although you may not be putting on a full laser light show, or directing a blockbuster movie, it’s still important to think about the role of your lighting within your event. If you’d like to find out how Monitor Lighting can help wow your crowd with wonderful lighting effects, please don’t hesitate to get in touch with us today – we’ll be more than happy to help!